How has it happened so fast!!!??? How can we already be looking for Christmas gifts for him? I know, I know, girls are a bit sharper on the advanced planning than guys. If you need a gift for him, you have come to the right place. Personally I think that Christmas gift ideas for him are a cinch It doesn’t need to be any more complex than a knife. It’s the ladies gifts selection that leave me with sweaty palms….no, not THOSE gifts! We even have some stocking filler options at the end of the list for you. So have a quick scour of our Christmas gift ideas for him, click buy, and sit down with a nice glass of wine. Christmas, officially, sorted! If your still worried, buy a few more stocking fillers for your loved ones. Christmas gifts should not be causing you headaches. Especially not when I can steer you right. If you are confused buy what to get your guy for Christmas why not send me an email? I will gladly try and help. Santa’s little elves are running around like headless chickens right now. I know we are! Packaging up peoples gifts. Ordering stock like mad and loving the messages that I am getting back form my clients. So as happens every year around this time, lights start going up. Annoying shops put on their Christmas Tunes too early and we prepare to, get bombarded by Christmas carols for 4 months. We put on weight for a month 🙂 and buy awesome gifts. Every year I forget at least one person. I have now started to buy a few R200 ish gifts to keep as spares. We also go into the “Holy cow, what do I get Daddy Dave this year..?” mode! So, because we at Blades Beams And Binos are just awesome, we compile a helpful little list. Ranging from cheap stocking fillers to, master pieces that work wonders for getting out of ANY trouble you cause in the lead up to the big day 🙂 .Following are actual gifts, not stoking fillers. Stocking fillers will be at the end. All prices are correct as of 14 November 2016. Because of things out of my control….Like the antics of our politicians and what that does to the Rand- Dollar. The prices will change over time. Christmas Gift ideas for him. Guys really are easy. Besides the “Come naked, bring beer” philosophy, we are SOO easy to buy gifts for. Basically if its shiny, bright, sharp or loud, we are cool with it. That really should be the end of the gifts for him list, but Ill even give you some examples!! So starting on the knife side of life for a guy. I love knives, obviously. I also like them sharp, so a knife sharpener is a definite gift worth giving. My normal home sharpener is a Taidea 4 Stone selling for a measly R400. It’s a really good sharpening set (which I have bought in the past for my mother in law, bother in law and some good neighbors and clients as gifts. If you want to spend more on top range gear, then the Spyderco Sharpmaker, selling at R1719.12 is worth while. I know it is more expensive. Yes it is worth it. The Sharpmaker is quite possibly the best kit money can buy. Knives: All of these make excellent gifts for him. A backup knife like these: Boker Neck Wedge, R693.52. The Boker Plus Rambler, R690.00. are good for really easy concealment. More substantial? Slightly cheaper? 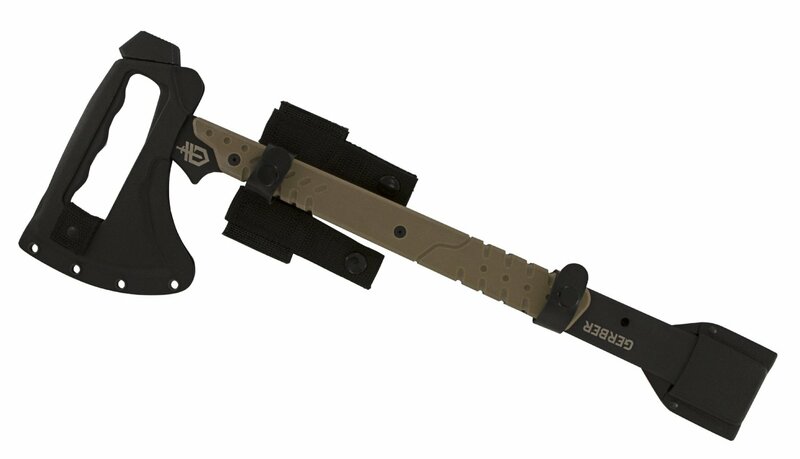 Gerber make an awesome machete, R499.06. The Dime Micro tool at R350 is also worth a look. Tekut make a groovy Biltong slicer at R490 for the carnivores. Spyderco make some serious blades. The Emerson delica wave, at R2148. Delica at R3112.20, Civilian at R4750.00 and Paramilitary at R4000 are all awesome Folders. The Pygmy Warrior is amazing. Retailing at R4500.00 for this fixed blade plus sheath. A truly awesome knife. Torches: Another great Christmas gift idea for him. By far the most popular item I stock is the Gamepro Ninox rechargeable spotlight. R1200. Great for game spotting and security. Maglite are my personal favorites. they range in price from R311 for the Mini Mag, to R1595.90 for the Mag-Tac, which everything in between. They really are worth the cost and they also come in a multitude of shapes, sizes and flavours. The back up service is tremendous as is the warranty. If your looking for gifts for him that will last the test of time. Look at Maglite. iProtec are quality smaller torches. The Pro 280 goes for R622.28 and has sold out a number of times. Nextorch make some awesome stuff. Their big daddy is a 1000 lumen monster called the Saint 1, retailing at R3000. The WL 10 gunlight at R693.58 is a great weapons mounted torch. These are all great Christmas gift ideas for him! Wether you are buying a gift for a hunter in need of a scope: Barska 4×40, at R769 or the 4-16×50 AO Varmint at R1656.10. Or a bird watcher looking for Binoculars. Ultra Optec 8×21 at R219 to the Ultra Optec 8×42 at R2644.00 with loads in between. A range finder perhaps? Ultraoptec LR1 comes in at R3300.00. Stocking fillers?As far as Christmas gift ideas go, we have oodles of stocking fillers. Small knives: Ultraedge mini flame @ R39. The R202 fixed flame, or theR156 Liner flame. Small torches: Supaled EDC @ R85.96. Anything from True Utility is cool and really well priced. Check out the range here. Now this is by no means a definitive list of Christmas gift ideas for him however we have loads to choose from. Too much in fact to put on a blog. This gives you a nice range of prices. I can hear people already saying, but why don’t you have any gifts for under R50….um Im not even sure you can get a steers meal that cheap? The fact is I sell quality products. I don’t want people unhappy with tier purchases or wanting to return shoddy merchandise. SO I just don’t sell it. If its on here it will work. Yes I have had items come back (2 in 4 years) but its REALLY seldom because I don’t buy cheap Chinese junk. SO rest assured that your Gerber, Spyderco and Boker knife will be an original and brand new. If you have a look around my site you will find that I have plenty of stocking fillers. I love stocking fillers as then you have loads of gifts to open on Christmas day. If you need any help looking for gifts for him, please feel free to email me at Craigh@bladesbeamsandbinos.co.za. I am here to talk you through all the Christmas gift ideas for him whenever you need me.